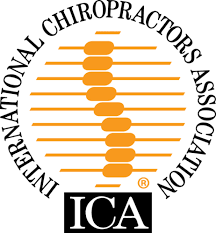 Organization type: The International Chiropractors Association (ICA) is a 501(c)(6) organization, a designation the Internal Revenue Service reserves for business leagues and boards not organized for profit. Organizational leadership: The ICA is operated by a board of directors, which includes an executive committee made up of a president, vice president, secretary-treasurer, board chair, and chair of the representative assembly. Other members of the board are members-at-large and regional directors. Furthermore, the organization intends to achieve this goal by following a defined set of objectives, some of which include promoting chiropractic as drug- and surgery-free treatment, fostering professional development, raising ethical standards and working effectively with other organizations. On its website: To stay current in chiropractic—both as it relates to the ICA and to chiropractic in general—you can go to the ICA’s website and click on the “News” tab. Here you’ll see all of the ways the ICA advocates for the profession as well as some of the newest legislation and research in the field. The ICA also has an “Events” tab on its home page which shows a few of the upcoming summits, conferences, trainings and other events you may want to sign up for and attend to increase your knowledge and improve your practice and its offerings. To join: Upon joining the ICA, members receive online access to the ICA Review and The Chiropractic Weekly, as well as to marketing materials and a variety of content dedicated to improving both professional and patient education. Members are also listed in the Membership Referral Directory and become eligible for discounts on other products and services ranging from mattresses to liability insurance. Most of the fees can be paid quarterly or annually as opposed to monthly if desired. Also, applications can either be submitted online or you can download one and mail or fax it in.